Interested buying a duplex and becoming a landlord? Let's talk about some key logistical things to consider when thinking of making the leap. Something you may not know about Ken and me is that we're landlords. Owner-occupied landlords, to be exact. What is owner-occupied, you ask? All it means is that we own the duplex, live in one unit, and rent out the other one. (We're on the main floor unit and we lease out the upstairs apartment.) It's our first home and we went the duplex route not only because it's a good investment, but we'd been living in apartments since college, and the idea of sharing walls with a tenant isn't a foreign concept yet. I've had a lot of questions on Instagram about how our duplex is set up, so to clarify, there are two completely separate units. The front door opens to a shared foyer and from there the home splits into two separate locking units. 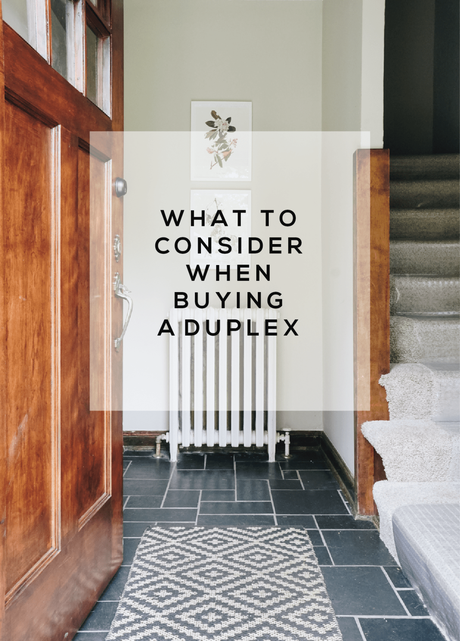 Like with anything, there are pros and cons, but overall buying a duplex and becoming a landlord has been a fantastic experience. We've been able to pay down more on our mortgage every month, afford to live in our desired neighborhood, and save for the future simply by investing in a home that allows us to lease a piece of it out. This landlord series is meant to be a look into our experience as first-time owner-occupying landlords. We've made some mistakes, and also had some extreme wins along the way, so I'm sharing everything-mistakes, advice, and examples of what we did to get this duplex party started. Duplex Tour - How is Our Duplex Laid Out? This seems like the ultimate no-brainer, right? But this is something we actually didn't look into prior to buying our duplex. The home was set up as a duplex-why wouldn't we be able to rent it as such? We had a big ' oh crap' moment when we requested a rental permit and found out the home hadn't had a rental permit since the early 90's. Our neighborhood in South Minneapolis was already at it's max capacity with duplexes and apartments. So, if we were trying to turn our single family home into a duplex, it wouldn't be allowed. However, since our home was built as and previously rented as a duplex, we were essentially grandfathered-in and granted a permit. Whew!! Are electricity, water, natural gas, and trash metered separately, or are they together? If they're shared, you'll most likely need to wrap the cost of utilities into the price of rent, rather than putting the utilities in the renter's name. As the landlord, we pay heat (natural gas), water and trash for the building. Each unit covers their own electricity. Search Craigslist, NextDoor, etc. and ask around to find out what people are paying for units with similar amenities in the area. Will the projected rental income cover the cost you'll need to pay the mortgage? If you're owner-occupying like we are, the tenant's rent may not cover the entire mortgage payment, but hopefully it'll position you nicely! 4. 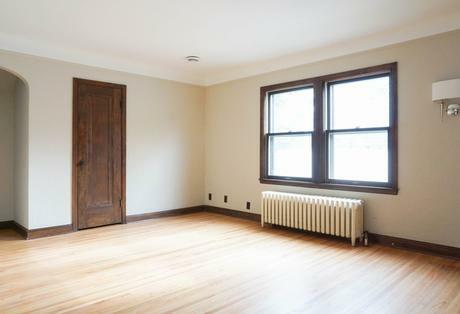 Will the Unit Attract the Type of Tenant You Want as a Neighbor? What Updates/Repairs are Needed? When wrapping our heads around the owner-occupied landlord setup, Ken and I both ideally wanted to rent the unit to a young professional (who perhaps traveled a lot for work and wasn't home very much, lol.). This was our dream scenario. 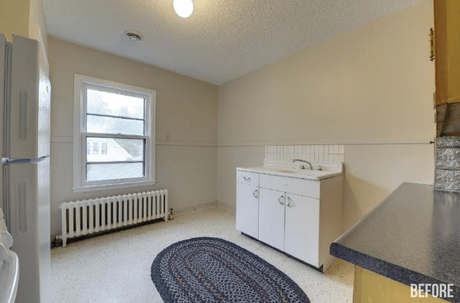 Though the duplex as a whole was well-cared for over the last 90 years, the upstairs unit kitchen (above) definitely wasn't going to attract the young professional tenant we were shooting for. 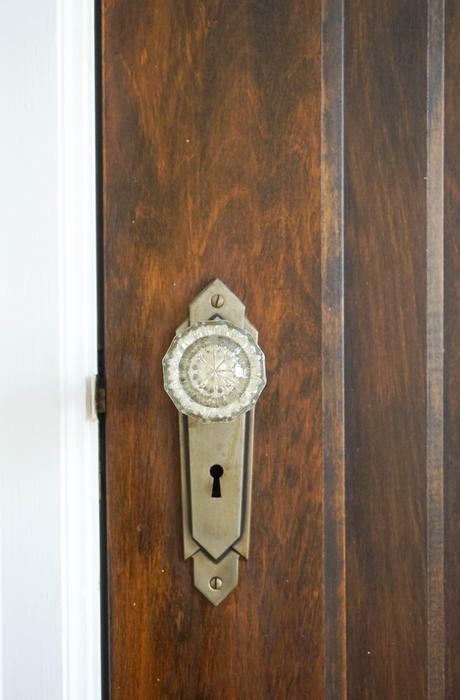 The above photo is courtesy of Zillow 's seller listing. As you can see, it had the original metal cabinet sink with mouse poop inside, and a lot of wasted space. We knew we'd need to make some improvements in here. 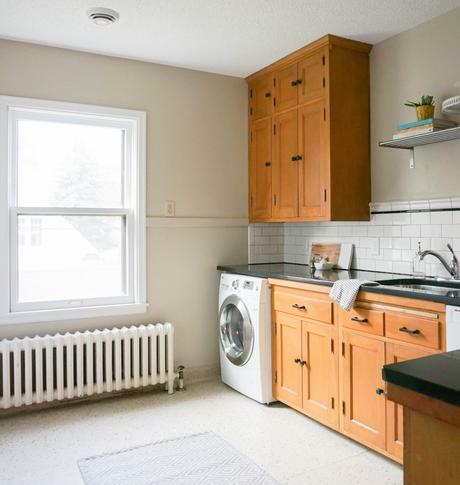 We added granite countertops, tile backsplash, dishwasher, washer/dryer combination unit, and additional cabinet storage, but we kept costs to a minimum by keeping the existing flooring, refrigerator, stove and repurposing cabinets from elsewhere in the house. The apartment unit renovations were the first things we tackled in hopes of getting the place up and rented ASAP. Here's a look at what the upstairs kitchen looked like AFTER. 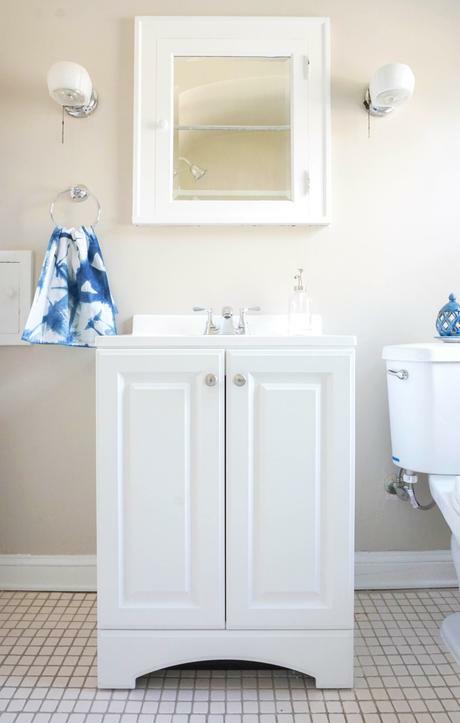 Budget renovating at it's finest! How much can you hear the other unit through the floor or walls? If you're not planning to live in the duplex, you may not be as concerned about this, but if you're calling this place home, it's something you want to investigate. Surprisingly, the second level floors were insulated, so we don't hear much of the happenings upstairs. The only place we really heard anything was in our bedroom where the noise really transferred from the bedroom above. The upstairs bedroom had wood floors, so we laid carpet with a nice thick pad up there, and it REALLY helps deaden the sound. It killed me to lay carpet over beautiful hardwood, but in this case, it was the right move. Does the duplex have a double or single garage? Is street parking allowed? Our place has a single car garage in back, where Ken and I park one of our cars, and then our 2nd car and our tenant park on the street in front of the house. Thank goodness for street parking! Does each unit have its own laundry? Will there be a shared washer & dryer in the basement? When we updated the apartment's kitchen we added what we thought was a killer amenity: a washer/dryer combination unit. It's super compact and apparently very popular in Europe. Turns out though, it's not the most effective at washing, and it shakes the whole house during it's LOUD 4-6 hour drying cycle. Yeah. So our tenant ends up using our washer and dryer in the basement most of the time. We've worked out specific washing days for each of us, and it's hasn't really been an issue. That'll do it for today! If I've missed anything, or if you have a question, please ask it below. I'd love to connect! I hope you found this little landlording introduction helpful. Or at least interesting? There's more to come in this series, but in the meantime, you can read more about our house and renovations here!